call for accountability from the Israeli government for the destruction of land and life. Friends of Wadi Foquin referenced the General Conference resolution in its endorsement of an initiative by Congresswoman Betty McCollum (D-MN) calling for the appointment of a Special Envoy to look into and protect Palestinian children who suffer from the increased expansion of the illegal settlements and disproportionate violence experienced under the Israeli military occupation. With its endorsement, FWF joins many organizational supporters of this initiative. For the full text of Rep. McCollum’s letter, click here. To read our endorsement, click here. Following the attack at an Israeli market in Tel Aviv in early June, there has been an increased military presence throughout the West Bank, including a regular presence in Wadi Foquin. Two villagers aged 21 and 23 were arrested and held without charge. They were released after paying fines. The village has completed walls for the soccer field and recently began opening the field for use during Ramadan. Lights have been installed for evening activity. The people are very excited and happy about the field and the opportunity to play on it. This is the fruit of the partnership with Friends of Wadi Foquin and the United Methodist Church. The village is waiting for government resources to install the grass. An NGO from Sweden has agreed to help expand the park next to the soccer field. Thus far, there have been no actions by the Israeli Civil Authority to stop the activity on the field. The Wadi Foquin village council received word that work on road improvements would begin in mid-July. The only problem is that the roads are located in Area C and USAID policy does not allow for road construction in Area C. We will have to wait and see what happens. Friends of Wadi Foquin is hosting Ata Manasra and Adel Hroub from Wadi Foquin from July 26 to August 16. Ata is the coordinator of the Narjes Community Development Program, and Adel is the youth coordinator for the project. They will provide us with updates on the challenges of Palestinian life in the village and larger West Bank as well as community development projects that need our support. For an itinerary of their speaking dates, please click here. Below, top photo: Ata Manasra (right) with Janet Lahr Lewis, former United Methodist missionary to Israel and Palestine. 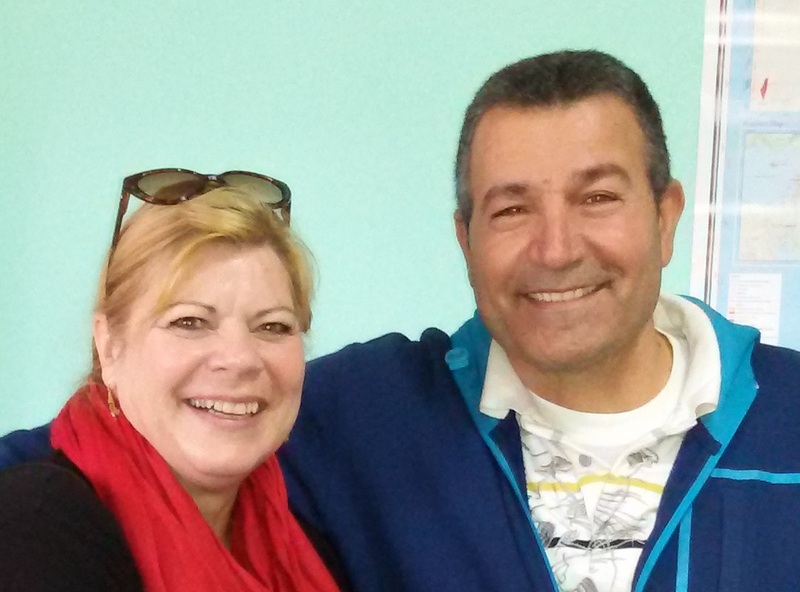 They often co-lead tours of the Holy Land that include visits to Wadi Foquin. 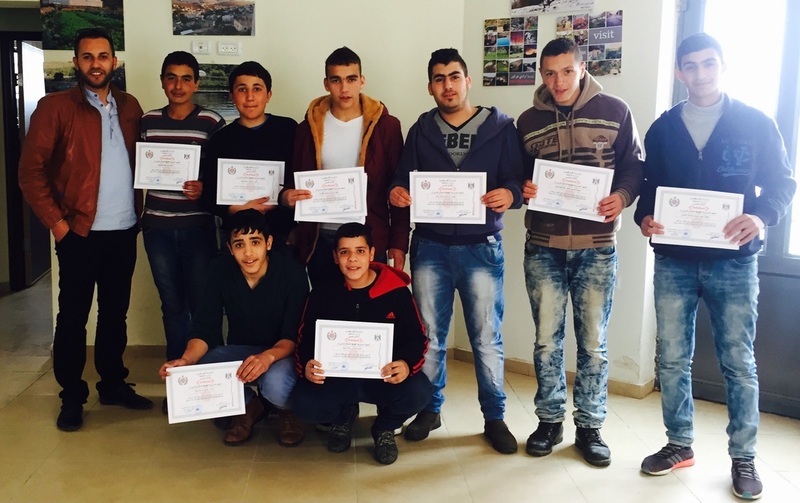 Bottom photo: Adel Hroub (far left) with graduates of a first aid course offered to Wadi Foquin youth through the community development program. For a recap of the February 2016 congressional briefing, please click here.